The Hobopop E.P. 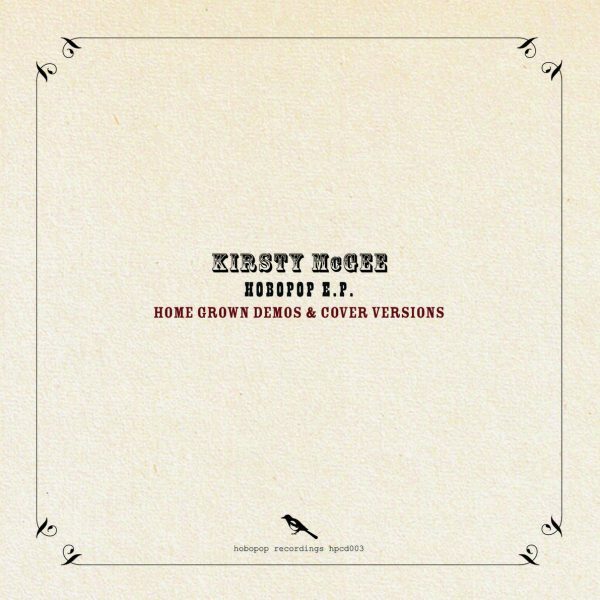 – Rough-hewn demos and cover versions from Kirsty McGee and Mat Martin, featuring four demos for songs later to appear on the album ‘The Kansas Sessions’ and two cover versions, including one by producer of ‘The Kansas Sessions’, Mike West. A great sister-disc to ‘The Kansas Sessions’, or for those people interested in the development of songs and the influences songwriters have on one another, and in a really live, bare sound on disc. All songs by Kirsty McGee except ‘Share Croppers’ by Kreg Viesselman and ‘Betray My Trust’ by Mike West.